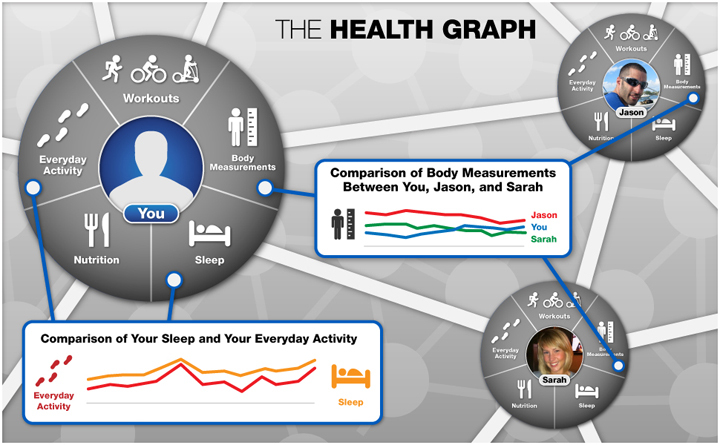 Is Runkeeper Hitting The Right Business Model Through Health Graph Strategy ? It’s been a long time I wanted to write on this topic, and recents discussions at the latest Quantified Self MeetUp in Paris have confirmed that there is a growing interest on business models around apps and services related to quantified self movement. At a very first level we could identify 3 different patterns : the most classical is of course to produce and sell connected devices or apps ; an intermediate one is about monetizing data analysis and the most innovative and ambitious one is to become the platform. Runkeeper is obviously following the last one since they announced their strategy aiming at centralizing users data by federating health and fitness apps and devices manufacturers through their health graph API in october 2011.